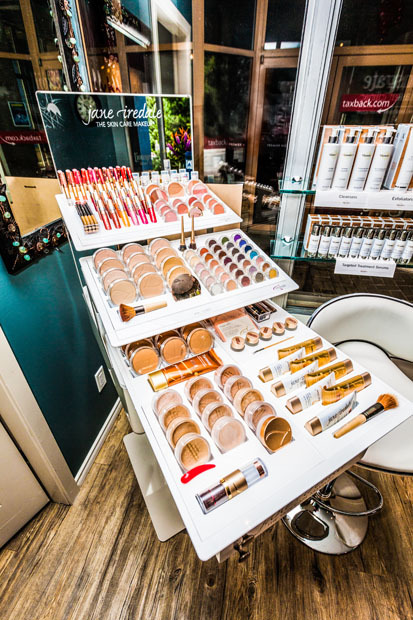 Jane Iredale uses the highest quality minerals that not only make your skin look flawless, but visibly benefit your skins needs, desires, challenges and concerns. Alia has been a Makeup Artist for ten years. She worked as an educator and makeup artist for Jane Iredale in eastern Ontario before moving out West. This product is by far the gold standard in mineral make up, from day to day use to the go-to for the brides special day! Come and see Alia and learn some easy tips and tricks for letting your natural beauty shine through!